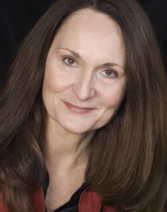 Known as a Hollywood lucky charm, Beth Grant has co-starred in three Academy Award winning Best Pictures: THE ARTIST, NO COUNTRY FOR OLD MEN, and RAIN MAN. She has twice received the Screen Actors Guild Ensemble Award for LITTLE MISS SUNSHINE and NO COUNTRY FOR OLD MEN. She also voiced the Academy Award winning Best Animated Feature, RANGO. In a 2017 release, Grant is “Lady Bird Johnson” opposite Natalie Portman's Jackie Kennedy in JACKIE, directed by Pablo Lorrain. She is currently a TV series regular, “Beverly,” on THE MINDY PROJECT for NBC Universal, in its 4th season for HULU. Appearing frequently in projects for James Franco, she co-starred with Vincent D'Onofrio Tennessee Williams biopic TENN; IN DUBIOUS BATTLE, based on the Steinbeck novel; and THE LONG HOME based on the William Gay novel and others. Grant played Faulkner's iconic character “Addie Bundren,” in Franco's AS I LAY DYING, premiering at Cannes, and winning Best Ensemble Award from the Chlotrudis Society of Independent Film. Now in theaters and VOD, Grant plays Widow Douglas in the Nee Brothers BAND OF ROBBERS starring Mathew Gray Gubler and Melissa Benoist; and CONSUMED starring Zoe Lister-Jones and Danny Glover, co-written with Jones and directed by Daryl Wein. 2014 releases include: BAD WORDS starring and directed by Jason Bateman; ALEX OF VENICE directed by Chris Messina; and FAULTS, starring Mary Elizabeth Winstead, written and directed by Riley Stearns. Grant produced and plays the title character, a battered wife, in 2012's BLUES FOR WILLADEAN, co-starring with Academy Award winner Octavia Spencer, Spirit Award winner Dale Dickey, written and directed by Del Shores – now on iTunes, Amazon and Walmart.com. Grant co-produced and starred in the ComiCon 2010 Best Comedy Award winner, HERPES BOY – on Netflix, iTunes, Amazon, X-Box and most VOD. Other popular films: SPEED, DONNIE DARKO, FACTORY GIRL, ROCK STAR, THE ROOKIE, TO WONG FOO, A TIME TO KILL, OUR VERY OWN, EXTRACT, MATCHSTICK MEN, FLAGS OF OUR FATHERS, PEARL HARBOR, DANCE WITH ME, FLATLINERS, THE WIZARD, SORDID LIVES, CHILD'S PLAY. Grant thinks of every character she plays as an old friend and has some favorite TV appearances: JUSTIFIED, MODERN FAMILY, DEXTER, MOCKINGBIRD LANE, THE MILLERS, PUSHING DAISIES, THE OFFICE, MAXIMUM BOB, GREY'S ANATOMY, JERICHO, SIX FEET UNDER, MY NAME IS EARL, ANGEL, MALCOLM IN THE MIDDLE, KING OF THE HILL, WONDERFALLS, FRIENDS, THE X FILES, ANGEL, CRIMINAL MINDS, CSI, COACH, DELTA, YES DEAR. Grant recently directed a multi-award winning short, THE PERFECT FIT, starring Academy Award winner Octavia Spencer, Lauren A. Miller (For A Good Time Call…), Ahna O'Reilly (The Help), Frances Fisher, Jennifer Zaborowski, and her daughter, Mary Chieffo, an actor and recent graduate of The Juilliard School, Drama Division, where she won The Founders Award. Grant has been happily married to Mary's father & fellow actor, Michael Chieffo, for thirty years. VELINDA GODFREY is a writer, actress, and producer. As an actress, her films have screened in Dallas, Milan, Portobello, New York, and Los Angeles. This year, Velinda’s most recent film, ADONIS, won ‘Best Short Film’ at the Cannes Film Festival as part of the American Pavilion Emerging Filmmaker Showcase. Originally from Oklahoma, Velinda was one of an elite twenty chosen to study at the Oklahoma Summer Arts Institute, a two-week residential school that provides professional training to artistically talented students in the visual and literary arts. After moving to Los Angeles, Velinda began developing projects as a part of the Jeffrey Tambor Workshop. In 2010, she produced her first short, TWO ANY STYLE. Her most recent short, BOATS AGAINST THE CURRENT, which stars Jason Ritter and Kelen Coleman will begin the festival circuit this year, including a screening as an official selection of the Palm Springs International Shortfest. HEARTLAND will be her first feature film, which she co-wrote and is excited to be shooting in her home state. Spencer, who hails from Oklahoma, got her start acting at the University of Oklahoma where she studied and gained a BFA degree in Theatre and Drama. Having grown up performing, it was a natural transition into acting after years of dancing, playing the flute and performing elaborate puppet shows for her family. Not one to waste anytime in getting her career started, Spencer's first role was an indie movie that shot in Oklahoma, “Barking Water” that went on to premiere at the Sundance Film Festival in 2009. Spencer continued to study and build up her resume acting locally before taking the leap and moving to Los Angeles. She moved to Los Angeles in January 2010 and started booking auditions and commercials. 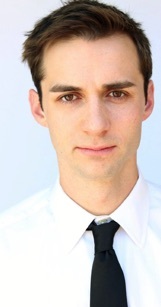 Spencer worked for a Casting Director quickly booked a TV show “Mad Love” with Jason Biggs. Spencer, known for her beautiful and fiery red hair received acclaim for her appearing in the Creative Arts Emmy award winning Web series, “The Lizzie Bennet Diaries,” and the well known series “Jan” and “Vanessa and Jan,” which debuted on the WIGS YouTube channel created by Jon Avnet and Rodrigo Garcia. She reprised her role as Vanessa in a third WIGS series, “Blue”, starring Julia Stiles and Eric Stoltz. From there she went on to guest star on such high profile shows as “Switched at Birth,” “Criminal Minds,” and “2 Broke Girls” among others. Fun fact, Spencer last year starred in two popular national commercials at the same time, one for Sprint Network alongside a Zombie and the other globally more recognizable brand Skittles in which she is seen eating the 'skittle teeth' of a fellow classmate. Spencer is based in Los Angeles. COOPER ROWE, who plays Kenny in Heartland, is an actor, singer, musician, and composer in Los Angeles. His TV and Film credits include 2 seasons as a Warbler on Glee, a guest star role on Blood Relatives, and numerous roles in Los Angeles area short films. Musically, Cooper has scored several short films, plays a long list of instruments, and writes, and performs his own unique blend of pop, blues, and folk music. Prior to moving to Los Angeles in 2011, Cooper worked primarily in music theatre, and has done 20 musicals to date including the lead role in 11 of these. Most recently he played Marius in Les Miserables in Anchorage, and Chris in Miss Saigon in Los Angeles. He has won numerous awards for singing and music theatre, including being one of 22 nominees nationally for the 2010 Jimmy Awards in New York City. Cooper grew up about 120 miles from the setting of Heartland, and was drawn to the project by its story, themes, and cultural attachment to his roots. Just like most people in los Angeles, AARON LEDDICK is originally from elsewhere. After college, he left Colorado to pursue his dream of being a waiter, however acting keeps getting in the way. Aaron starred in "The Ufologist," which won the audience award at the 2014 Malibu film festival. He co-produced and starred in "Lost & Found," a short silent film that has been playing at silent festivals all over the world (and is available on YouTube). He also has a scene in the recent theatrical release "Little Boy." Aaron equates getting to work on "Heartland" with such an amazing cast and crew with winning the lottery. When Aaron isn't acting, he's usually out enjoying life with his beautiful wife.